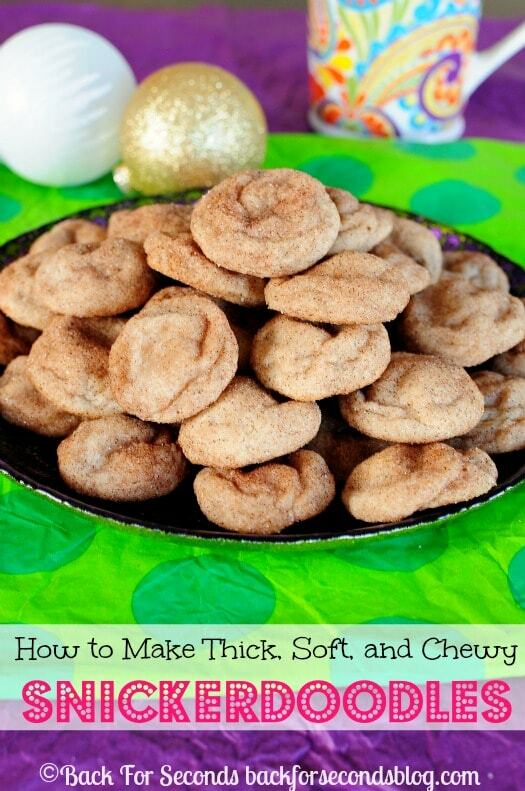 Today I am showing you How to Make Thick, Soft, Chewy Snickerdoodles! These are a must make for your Christmas cookie trays! 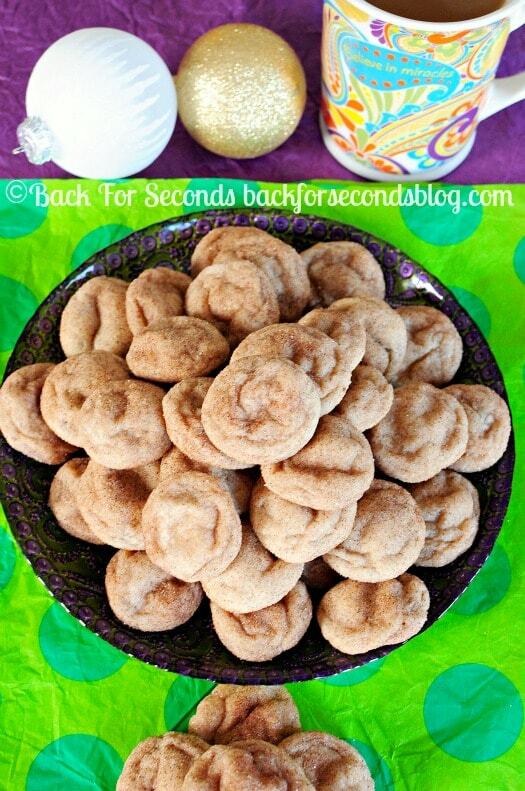 Snickerdoodles are one of our favorite cookies, and I make them every year at Christmas time. 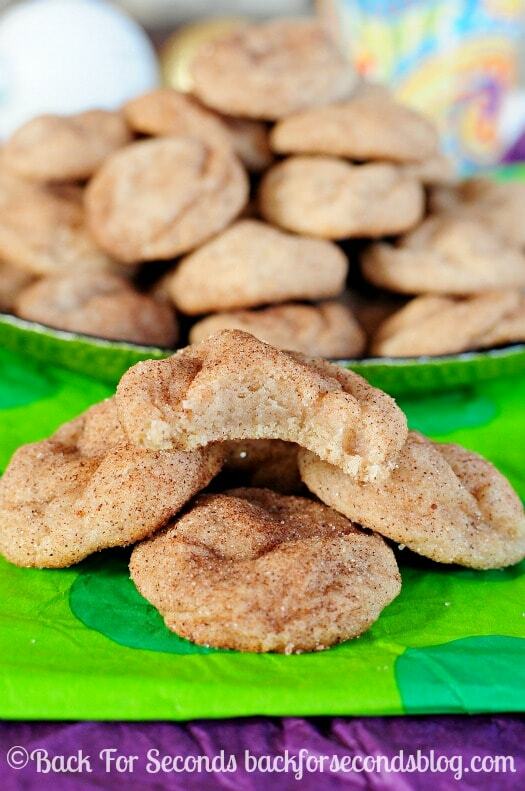 My goodie tray just isn’t complete without these cinnamon sugar gems, and I am excited to share with you my recipe for the ultimate snickerdoodle! The best part is you don’t have to chill the dough like in so many other recipes. Get started now and you’ll be eating cookies in no time! My 5 year old daughter made these with me last week. I portioned out the dough for her and she rolled it into balls and tossed them in the cinnamon sugar. Her theory while baking is “One to bake, and one for me!”. There was a lot of dough consumed in the baking process, haha! The directions are for regular sized cookies. If you want to make them mini sized, roll into 1″ balls and bake 6 minutes. You want them slightly underdone so they stay soft and chewy! Do you use salted or unsalted butter in your cookies? 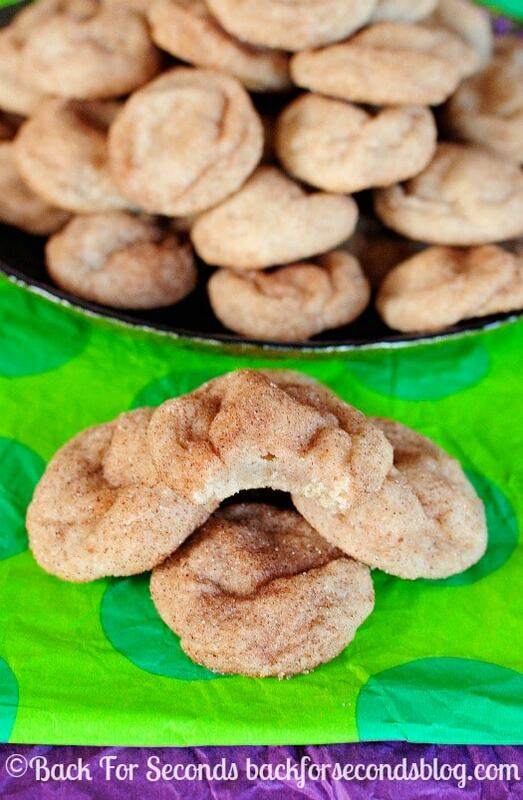 Your snickerdoodles recipe is my “go to” recipe for all things cookie. I make them all the time & they get more raves than I ever could have imagined. Everyone wants the recipe & I always bring extra copies! Until I found this recipe, every cookie I’ve ever made has turned out HARD; these are soft, delicious & wonderful! You have great talent. I look forward to more like this! What’s the yield on this recipe if you make the cookies regular-sized? Thank you! You should get about 48 cookies 🙂 Enjoy! Has anyone tried freezing these, before or after baking? I’ve got a big charity bakesale coming up and would love to do ahead of time whatever I can. Thank you in advance! Hi Suzanne! I have baked these and frozen them many times. Works great! Good luck with the bake sale!